Struggling to track student progress to show growth? Questions like how do you document a student’s knowledge before and after learning to track proficiency? Where do you start and how do you make sure their getting instruction at their own level? 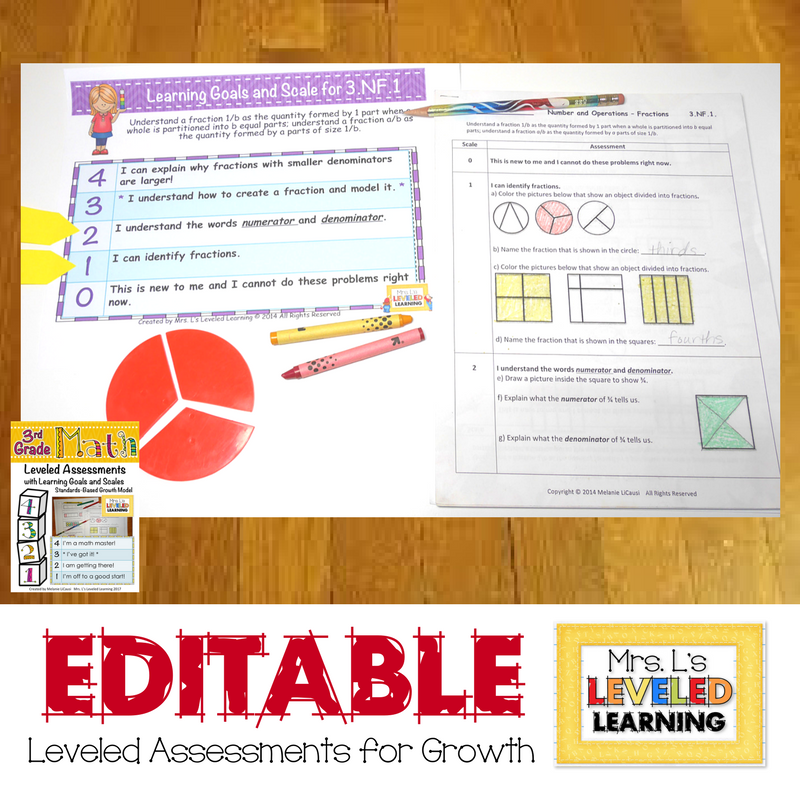 Leveled Assessments support growth mindset by giving kids the opportunity to show mastery incrementally. 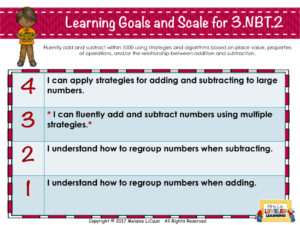 Learning goals, Marzano performance scales and leveled assessments save hours of agonizing work because the content is already organized for differentiation. Finding help to create your own scales can be tough, even if your district offers professional development. It’s much easier to start with some examples and modify them to meet your own needs. 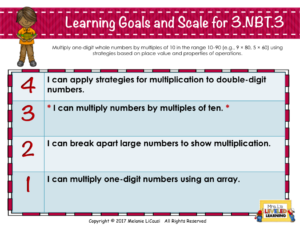 Here’s an example of how I use the scales and assessments to make things easier! Here’s some Scales I’ve used in my room for third grade math. 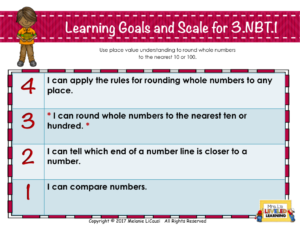 Performance scales are meant to be an outline of consecutive skills or knowledge that create a path for tracking student progress on the learning goals. The 3 is *starred* because it represents a child-friendly version of the grade-level standard. 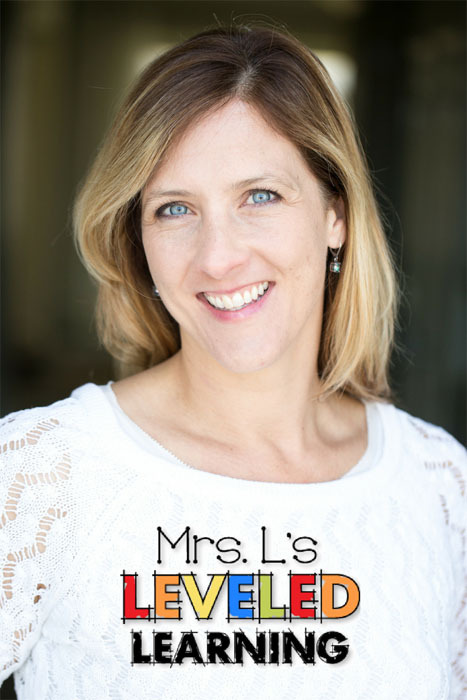 Level 4 should be a higher order application of the same skill to extend learning for advanced or gifted students. Some teachers like to take ideas from the next grade level above. Other schools or districts might have specific requirements for aligning each level to a portion of Marzano’s Taxonomy, which utilize key words to identify cognitive skills at different difficulty levels. PS…These Posters also have Editable Levels 3 and 4. Download a copy the pdf here to play with the features. The Assessments align to the learning goals and scales that are listed above. What I love the most about using these assessments is that they illustrate what each part of the scale means by adding example problems! This creates a much more objective, visual, and indisputable way for students, parents, administrators, and YOU to know what sub-skills a child has mastered. It also makes tracking progress simple. Students pretest the assessment in one sitting. (You choose the time limit). Grade them and note their starting level: 1,2,3, or 4. Let them see how they did! Possibly set some goals with students, or have them set their own. Provide some differentiated instruction, maybe during your small group or focus times. Then post-test the exact same assessment page, so children have a chance to correct previous errors and finish what was undone the first time. They LOVE that they already have some of it done. So, why would you need the assessment to be editable? Over the last few years that I’ve talked with teachers, I’ve been amazed at how many different and very specific requirements are placed on them when using performance scales. Administrators may want the level 4 to be above grade level, to give explanations and examples, or to align with Marzano’s Taxonomy for Knowledge Utilization. Other people are required to apply specific words, phrases, or problems to every level within the scale. I talked with one third grade teacher who needed all of the math products in every problem to be between 1-10. It doesn’t help that many states are revising the original Common Core standards to include different phrasing or content. Making it editable just makes sense if it is going to be really useful for everyone. There is a risk of course, for me anyways. Many content creators fall victim to piracy and find their work reproduced or shared without permission on public sites. Creating quality content is essential to me, and I would be embarrassed to put anything less out into the world. As much as I enjoy these projects, they do take tens of hours (40-60) per product. The only way I can keep up the commitment to fulfill more requests and make useful revisions, is to get paid for my time. Please feel free to contact me personally if you’re struggling to create scales yourself. I share plenty of examples and advice for free. I respond to questions on my Facebook, email, blog, and TpT store pages (find the icons in the sidebar).